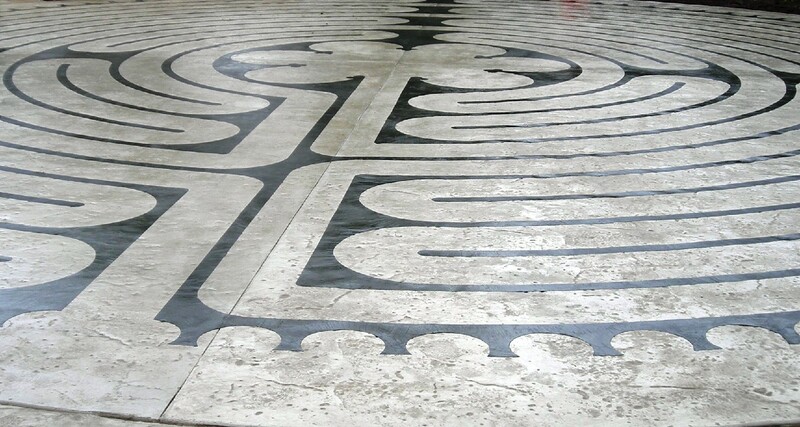 You are welcome to walk the labyrinth at any time or you can call the church office at 210-655-2731 to schedule an event, workshop or group walk. A labyrinth was only one path, a winding passage that leads to a central space and back out again. It is not a maze. There are no wrong turns or dead ends. One cannot get lost walking it. It effectively disengages the thinking mind, allowing one to “go within” the soul and open the heart. Many use it as a form of centering prayer and meditation leading to a closer union with God. Others find that it relieves tension, and gives a deep sense of peace and healing. 1. The path to the center is the Path of Release or letting go. 2. The center is the Path of Illumination; the path of light or presence of the Divine. 3. The path returning from the center is the Path of Union. You carry the gift you received and the Divine presence back into the world. The labyrinth is divided horizontally and vertically, making a cross. It was created using 12 concentric circles, representing the 12 apostles and 12 months of the year. The center is a rosette, the Christian symbol for Christ. The center draws us to our own center. 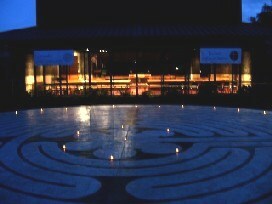 The labyrinth is an archetype and people of all traditions will find embedded in it metaphors of their own faith.